In order to be an effective visual note taker, you need to make some ideas stand out from others. One way to achieve that goal is to surround those important ideas with some sort of frame – a rectangle, thought bubble, or maybe even a fake explosion around the words. A more subtle way to make certain words and phrases stand out is to use different fonts while writing those words. 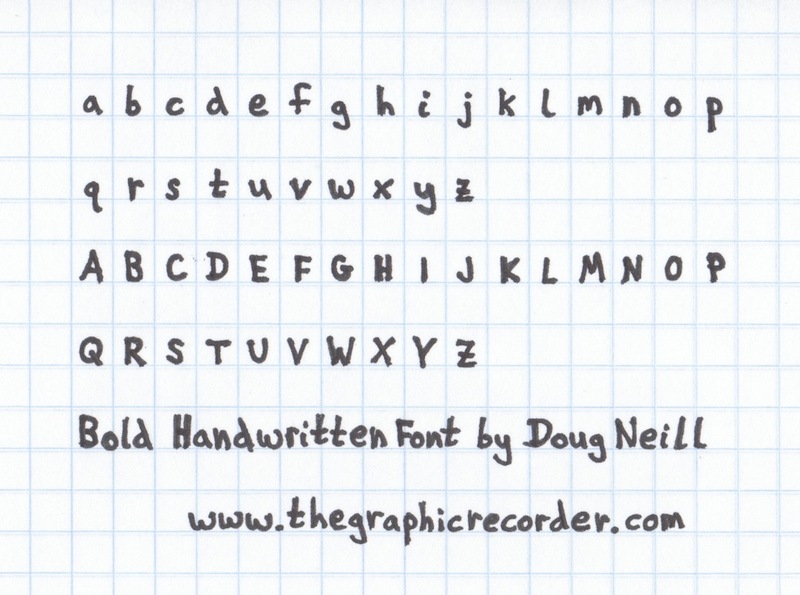 When I first started sketchnoting, I had trouble incorporating more than one font into my notes. I was too focused on the others challenges of visual note taking – particularly that of imagining visuals to go along with the concepts that I was hearing. But I have finally practiced and solidified the use of three fonts that I now incorporate consistently into my visual notes. 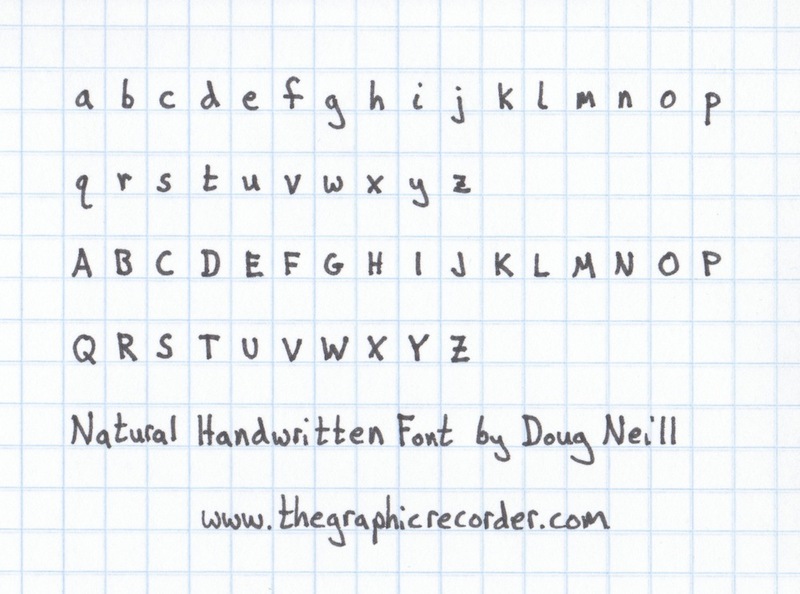 In the image above you will see my natural handwritten font (you can click on the image to view a larger version). Below you will see my bold font (which I create simply by writing over each letter a second time after the first pass), as well as my italic font. To see how I have been using these fonts recently, check out the sketchnotes of a graphic design book that I just began reading, or my sketchnotes from a recent Radiolab podcast. 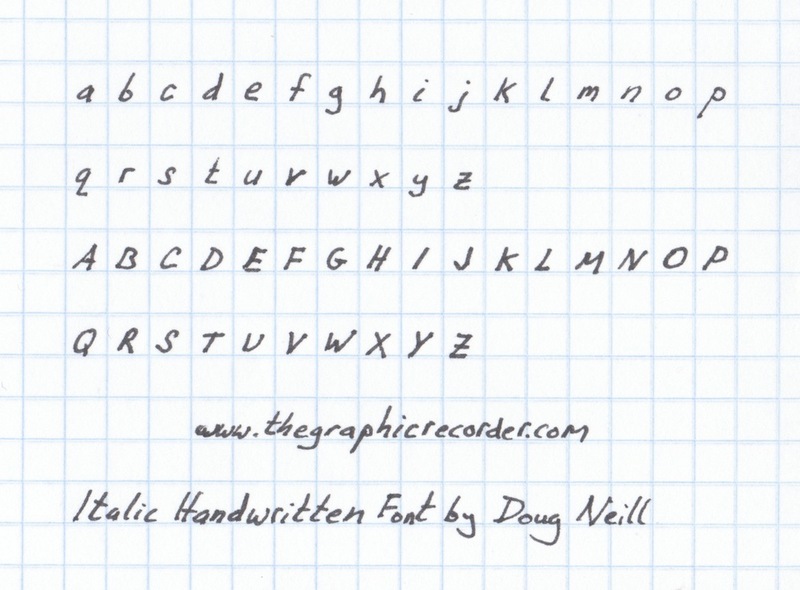 To start incorporating these fonts into you own sketchnotes, I would recommend writing out the full alphabet for each font as I have done above. That way you will have practiced writing every letter in those fonts, and you can keep the alphabets nearby as a reference while sketchnoting. Do you use other fonts while sketchnoting? If so, let me know about it in the comments below!